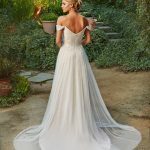 An easy, breezy, boho style, this off-the-shoulder wedding dress from Aime Couture is the perfect addition to your beachside ceremony. 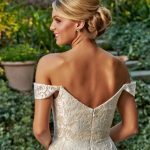 Designed in a beautiful lace over tulle pattern, the soft lace bodice of this gown is accented perfectly with off-the-shoulder sleeves for that truly laidback look. Beginning at the waist, French tulle extends into a soft skirt, perfect for walking down the aisle in a beachside setting. 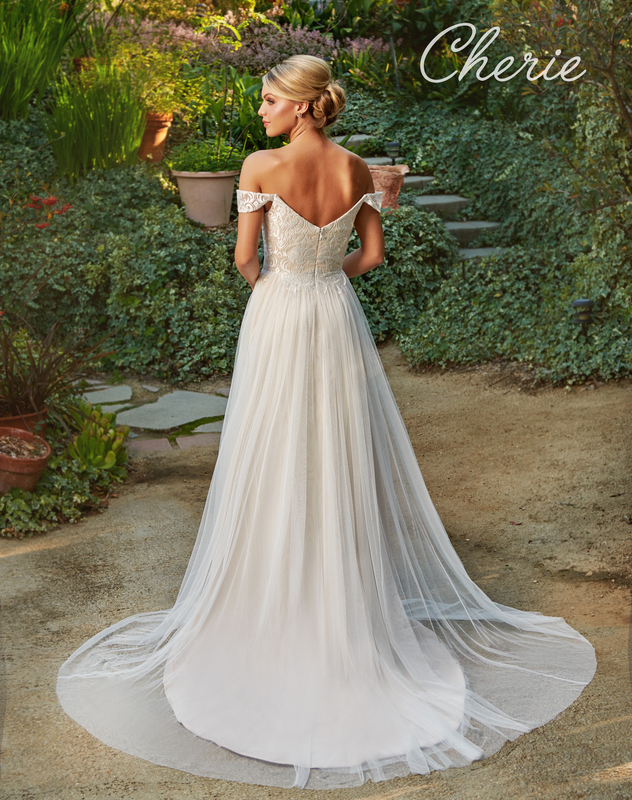 The lace from the bodice of this gown extends around the back and down to the skirt.